It can be use for portable (fiber) steam cabinand wooden cabin. Also you can fix to your existing ready made steam rooms. It has fully automatic function. One year warranty. We are a most trusted name among the topmost companies in this business, involved in offering Steam Generating Machine. Owing to the rich industrial experience and expertise in this domain we are providing standard quality range of Steam Generator. 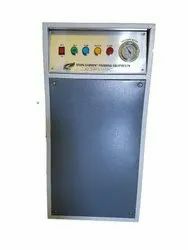 This Steam Generator has SS inner and MS outer float ball assembly gauge glass and safety value. Our product range is useful to cook rice, daal, vegetables, idly and boil milk. Moreover, it is available in 6, 9, 12 18, 24, 36, 45 and 54 KW capacity. Our company has gained name and fame in presenting Portable Steam Generator. Leveraging on our rich industrial expertise and sharp knowledge of relevant domain, we are ably manufacturing, exporting and supplying a technically advanced range of Steam Generators. Manufactured using cutting-edge technology and high quality raw material, our products has become the most preferred choice of vast clientele. Armstrong unfired steam generators (USGs) are designed to produce pressurized clean steam using boiler steam or high-temperature hot water as an energy source. 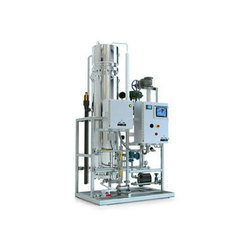 Typical uses for this clean steam include humidification, sterilization, pharmaceutical applications and food processing.